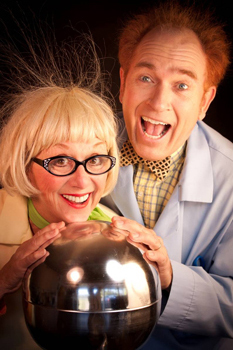 The Let’s Go Science Show is a wacky look at “how things work” with Professor Smart and Ms. Knowitall. This fun-filled production teaches physics concepts through theatrically based experiments and demonstrations. Lots of audience interaction with these two legends of the circus, great scenery and awesome lighting and illusions all make this one science lesson (with study guides available) that students won’t want to miss.